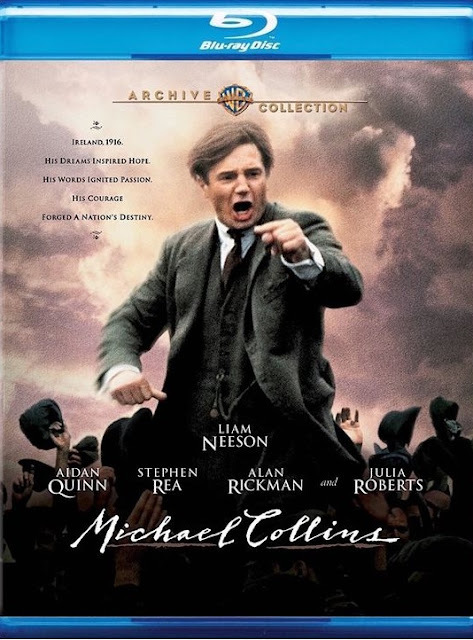 Next up on our armchair trip to Ireland is the movie Michael Collins, which is yet another story of troubled times in Ireland that is based on a true story. It is set in that beautiful country but once again it is definitely not a beautiful movie as it tells another extremely violent story. Michael Collins is a historical biopic film that tells the story of the man of the same name who led a guerrilla war in Ireland against the United Kingdom and eventually went on to create the Irish Free State and lead the National Army during the civil war. It is set roughly between the years of 1916 and 1920. IMDB says that this movie was given the rating of PG in Ireland because of the historical value of the film despite the fact that it includes so much violence. They wanted the film to be available to young people who needed to know about that time frame in the country’s history. The film is more appropriately rated R elsewhere. The New York Times says Collins was, “a leader who experienced a sea of change during his brief career, evolving from a pioneer of modern-day terrorism into a proponent of compromise and peace.” I believe that Liam Neeson does a solid job of portraying Michael Collins. Also in the cast are Aidan Quinn, Stephen Rea, Alan Rickman and Julia Roberts. Is this movie recommended by me? Well, yes, if you are interested in a look at this period in Ireland's history and if you can tolerate the unpleasantness. The Guardian says that Michael Collins is, “A watchable and mostly well-judged film on a worthy subject, but one that is undermined by a couple of careless liberties with the facts.” For my and possibly your purposes of understanding a bit more about the history of Ireland, this film works even though it may not be 100 percent accurate. I would hazard a guess that most historical movies have taken liberties with the facts. Learn more about Michael Collins and/or buy your copy on Amazon by clicking right here. Order Michael Collins from Amazon. Visit Ireland in the 1980s via my Fifty Dead Men Walking movie review. We are taking a trip from the comfort of our family room to Ireland by checking out numerous movies set in that beautiful country. The first story is brutal and there is nothing beautiful about it. 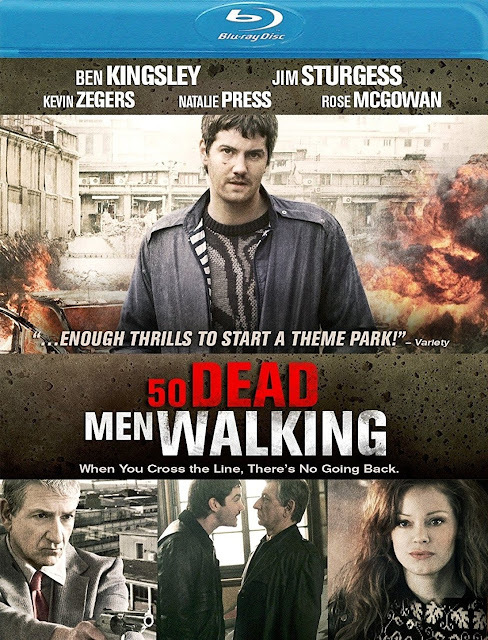 Fifty Dead Men Walking was released in 2008 and features Ben Kingsley, Jim Sturgess, Kevin Zegers, Natalie Press and Rose McGowan. It is based on an autobiographical book of the same name. The story is that of a young man who worked for the IRA but became a police informer. Set in the late 1980s during a time period known as The Troubles, it is claimed that the young man in question saved fifty people from certain death while he worked undercover. Is the movie Fifty Dead Man Walking recommended? Well, yes, if you are interested in a look at this period in Ireland's troubled history and if you have the stomach for the nastiness. The Hollywood Reporter calls the performances stunning. I'd agree and this movie will definitely leave you with something to think about. It might even make you want to read the book by Martin McGartland. You can learn more about the movie or buy your copy on Amazon by clicking right here. Buy Fifty Dead Men Walking on Amazon.